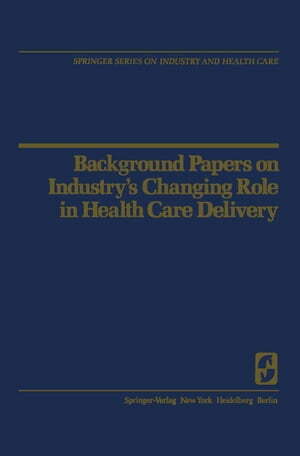 Collins Booksellers - Background Papers on Industry’s Changing Role in Health Care Delivery by Karl T. Sr. Benedict, John D. Blum, Rick J. Carlson & others, 9781461394273. Buy this book online. Excerpt from Conference Address One of the most complex and significant social issues facing our nation is reform of our national health system. I am personally committed, and Goodyear Tire & Rubber is committed, to doing everything we can to help improve that system while simultaneously gaining some measure of control over the tremen­ dous rate of cost escalation. I feel very strongly that in the months ahead, business leaders must become actively involved in a concerted effort to strike a balance between our desire to assure the best medical care for all and the reality of doing so at a cost our society can afford. For the past two years I have been chairman of the Business Roundtable's Task Force on Health and in that capacity have been working closely with the Washington Business Group on Health. Through this exposure and the encour­ aging results of Goodyear's own cost containment activities, I was asked to serve on HEW Secretary Califano's Advisory Committee on National Health Insurance. This committee, representing a broad spectrum of interests and expertise, will be meeting in cities across the country and will hold hearings in Washington before entering into final discussions with HEW and other admin­ istration officials. The result of its work is to be combined with that of the HEW staff in formulating the basis of President Carter's national health insurance proposal.